When a fellow professor tells you “I’m going to take you to one of the best restaurants we have available in Mexico City“, particularly when you know she is quite picky in her eating habits, you pay attention. I spent last week attending a scholarly seminar and meeting with officials in the Mexican environmental agencies I used to work for, and one of the meetings I needed to have was with a senior professor who is also a very good friend of mine, and she works at UNAM (the national autonomous university of Mexico). 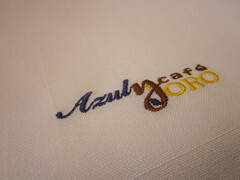 She suggested we have lunch at Cafe Azul y Oro, and I loved the idea. 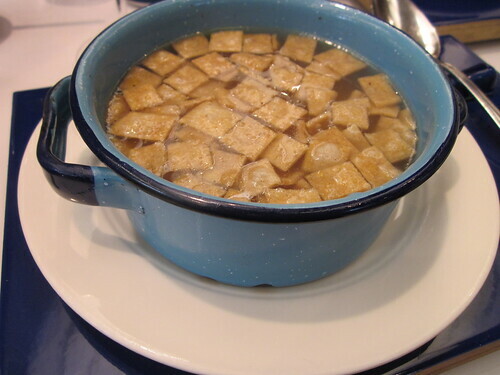 We ordered soups for our first course (I ordered a chicken and tortilla soup, which was very flavourful and light). While perhaps I could have just stayed with the soup ($65 pesos), but my colleague suggested I try the chiles en nogada (a very traditional Poblano dish). 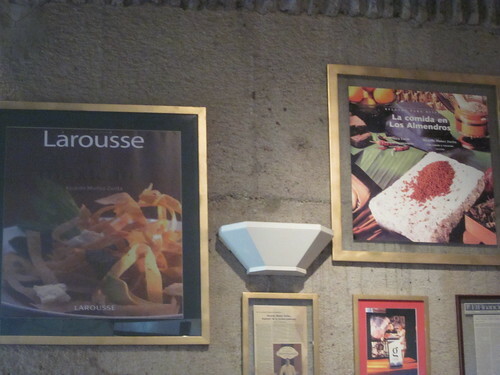 The chef at Cafe Azul y Oro is Ricardo Munoz Zurita, considered a national treasure and a Mexican cuisine genius. And he didn’t disappoint. 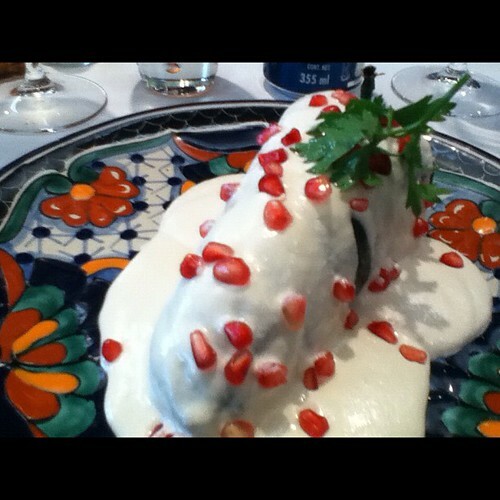 The chile en nogada I ate was the best, most perfect chile en nogada I could have ever tried. It wasn’t covered in scrambled egg (which is very traditional in most chiles en nogada), but the rest was definitely very traditional. And I tried 2 different types of nogada. I strongly recommend that if you are ever in Mexico City, you make the trek to UNAM (in the Southern part of the city) to check out Cafe Azul y Oro. Some friends tell me there’s another branch in Mexico City but this one is I think the most authentic. Disclosure: My colleague paid for both of our lunches. As always I retain full editorial control over anything I post on my site. Happy Independence Day, Mexico! Feliz Dia de la Independencia, Mexico! I’m in full agreement with you this is a great resto with style, presentation, and flavour.